You know that your generation has the opportunity to produce a positive change in the community. You know that in order to achieve it, we need to create solutions that help solve the problems that millions of people face every day. But, primarily, you know that when shared, these ideas improve and grow. That’s why we introduce COMPROMETIDOS, an open community of young people that want to produce a positive change through innovative initiatives. Ashoka, KOGA, Socialab, UNESCO and more than 70 other partner organizations are looking for teams of young people between 18 and 29 years old that live in Argentina, Chile, Paraguay or Uruguay and want to be change leaders and improve their communities. This contest is for them, and its intent is to support initiatives that contribute to the overall visibility of the Sustainable Development Goals. Do you know how to change that thing that bothers you? Do you have a creative idea that can improve something in your neighborhood or city? Share it and participate in the contest for a chance at $2,000 USD in seeding funding to make your idea happen. 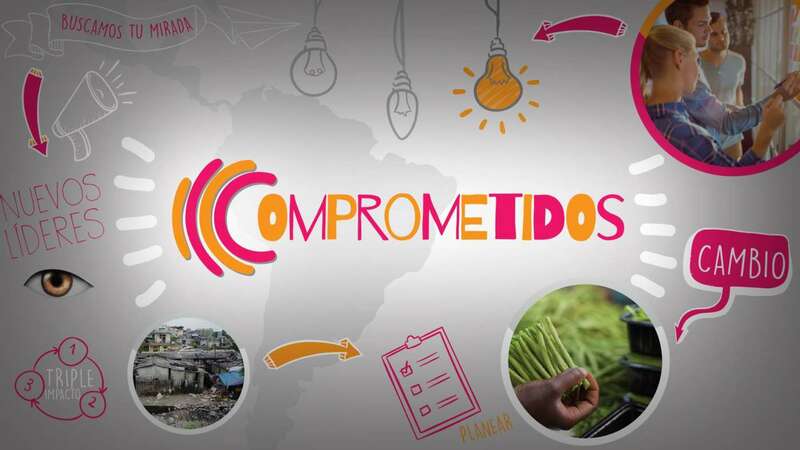 COMPROMETIDOS 2016 - YOUR ATTITUDE CAN TRANSFORM from COMPROMETIDOS 2016 on Vimeo. Invitamos a los jóvenes a participar de la comunidad estamoscomprometidos.org: a subir sus iniciativas, comentar las de otros, compartir las que más les gustan, conectarse entre sí. Los 12 equipos con ideas más innovadoras viajarán a Buenos Aires durante una semana, donde se elegirán 5 ganadores que recibirán capital semilla por 2000 USD cada equipo.